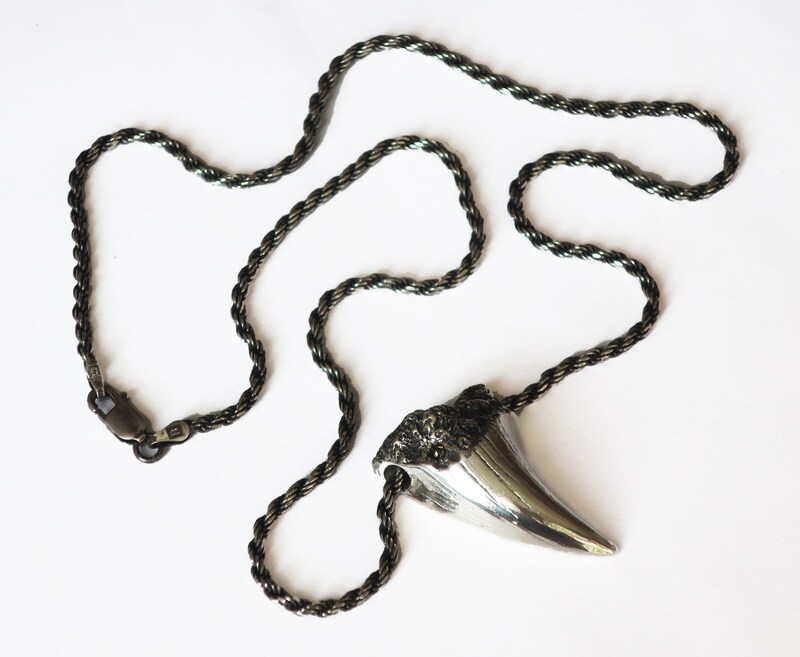 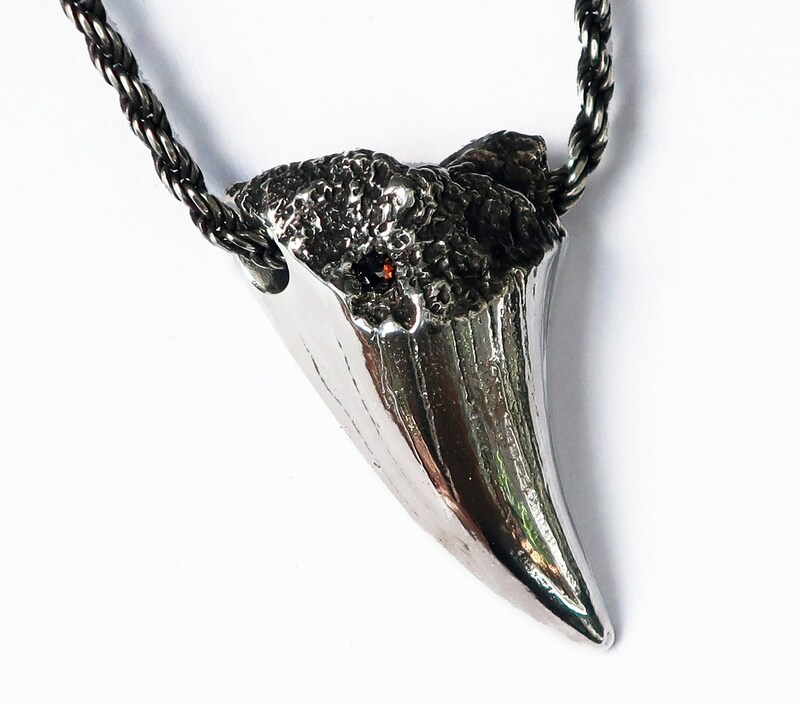 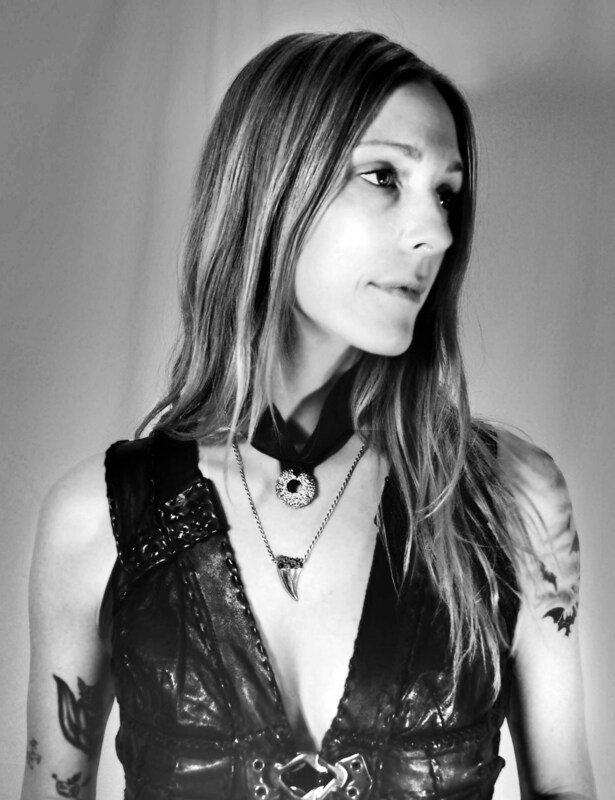 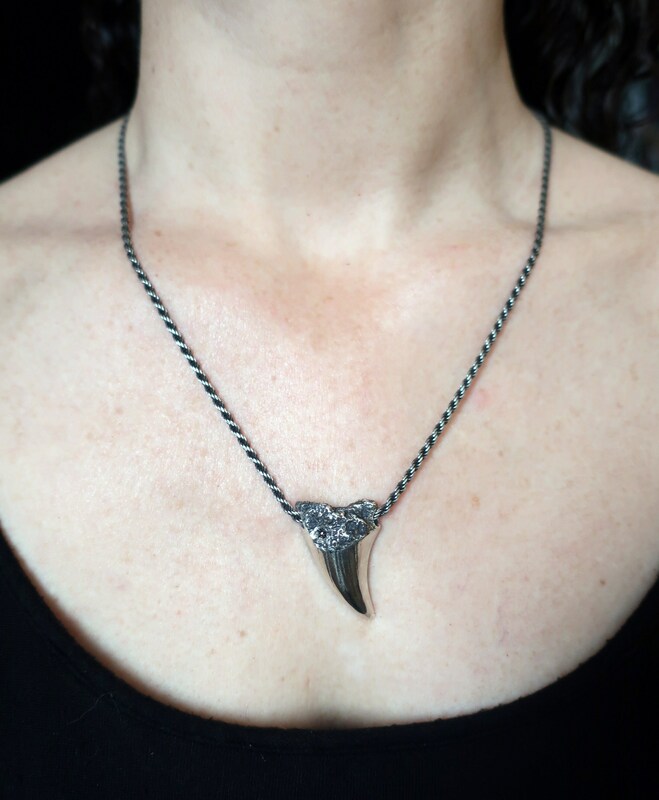 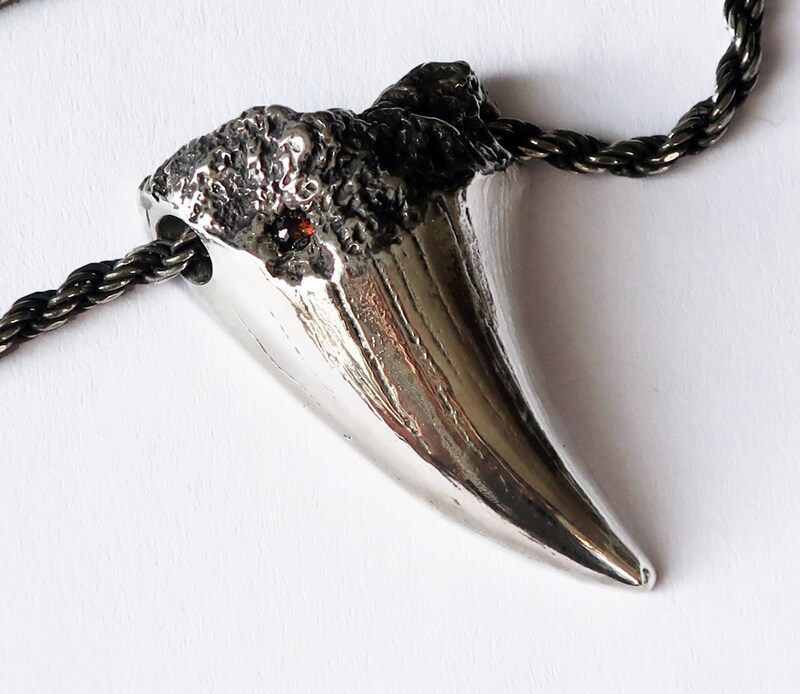 A fierce solid cast, sterling silver, prehistoric shark tooth set with a flashing 3mm Brown rose cut diamond. 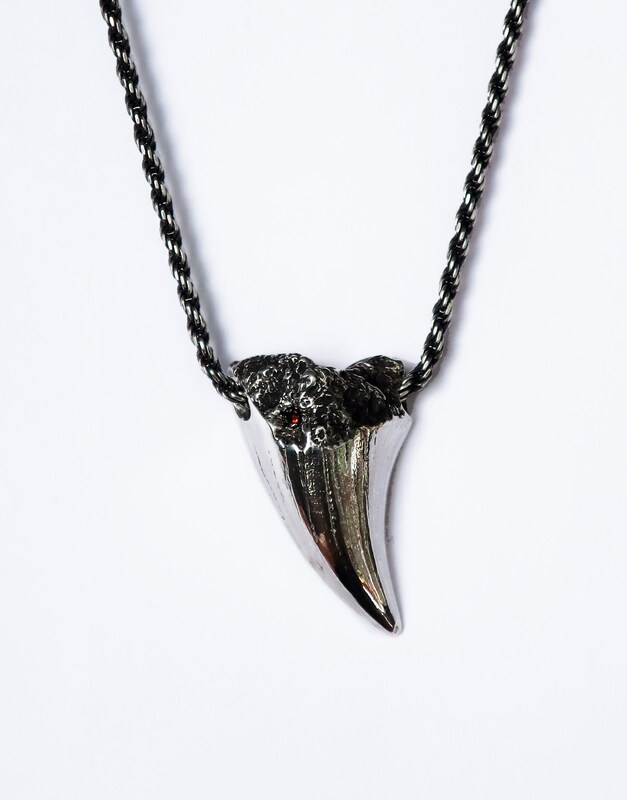 Tooth is hung on a 20" diamond cut sterling silver rope chain. 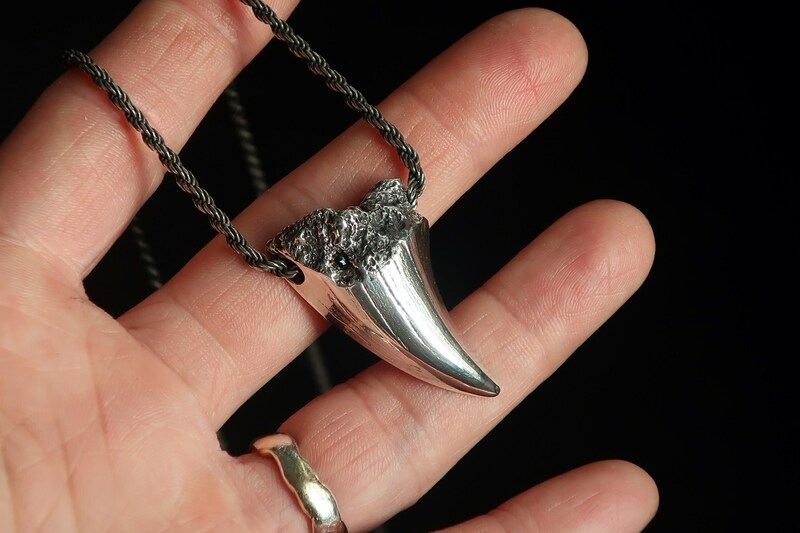 Tooth measures 1 3/8" x 7/8" x 1/2"deep at top.